The study and application of electronic materials has created an increasing demand for sophisticated and reliable techniques for examining and characterizing these materials. 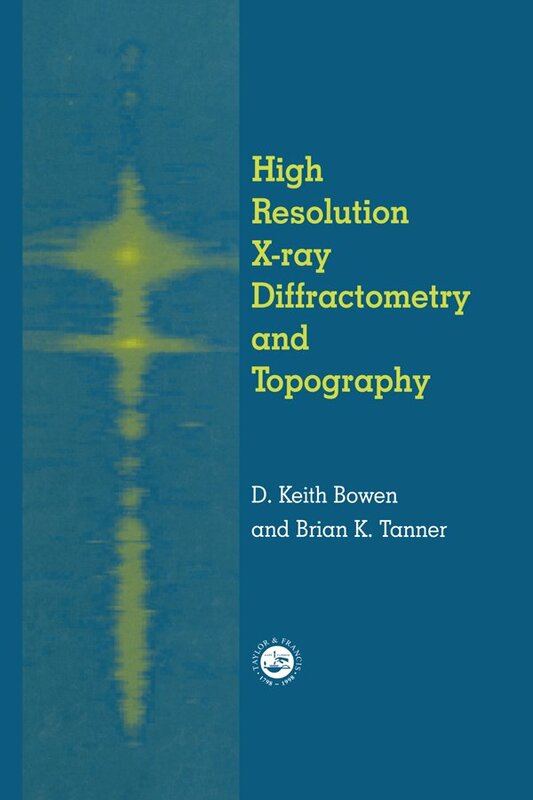 This comprehensive book looks at the area of x-ray diffraction and the modern techniques available for deployment in research, development, and production. It provides the theoretical and practical background for applying these techniques in scientific and industrial materials characterization. The main aim of the book is to map the theoretical and practical background necessary to the study of single crystal materials by means of high-resolution x-ray diffraction and topography. It combines mathematical formalisms with graphical explanations and hands-on practical advice for interpreting data. Introduction- diffraction studies of crystal perfection; high resolution X- ray diffraction techniques; analysis of expitaxial layers; X-ray scattering theory; simulation of X-ray diffraction rocking curves; analysis of thin films and multiple layers; triple axis X-ray diffractometry; single crystal X-ray topography; double crystal X-ray topography; synchrotron radiation topography.